Ready for some amazing Annie facts? Tomorrow was the most performed song in the seventies and eighties and to this day, it’s sung somewhere in the world every twenty minutes! When auditions were held in Tokyo for Annie the Musical, more than twenty-two thousand children turned up. And why not give it a shot? There have been some big names who have played Annie or an orphan, including Sarah Jessica Parker, Catherine Zeta Jones and Molly Ringwald. 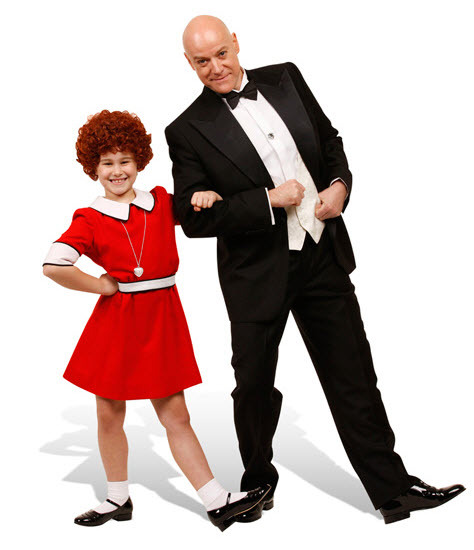 Annie the Musical is set to charm Australian audiences in 2012. Chock-full of Broadway classics, Annie the Musical is set to win a whole new generation of fans when it opens in Sydney in January, 2012. The timeless tale of Little Orphan Annie matched with instantly recognizable songs including It’s the Hard-Knock Life, Easy Street and of course the showstopper, Tomorrow, makes Annie one of the most loved musicals of all time. The Australian production has a star-studded cast – Anthony Warlow as Daddy Warbucks and Nancye Hayes as Miss Hannigan will be supported by Todd McKenney, Chloë Dallimore and Julie Goodwin. The story came flooding back to me as soon as I watched the clip of Tomorrow from the 1982 movie production of Annie (below) – can’t wait to see it live! Annie the Musical begins a twelve week season Sydney on January 5, 2012, then moves to Brisbane in April and Melbourne in May. Ticket booking can be made through Ticketmaster.